The main activity of this area has always been agriculture, supplemented by tourism thanks to its picturesque qualities, hotels and excellent sport, hunting and fishing. 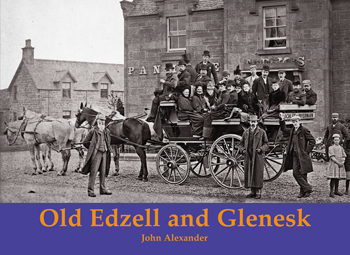 In Edzell a busy street scene is one with more than one horse and cart and a bicycle and this collection of period photographs reflects the restful quality of the area. The author skilfully tells the history through meaty captions filled with facts bringing these quiet photographs to life, starting in the town and moving up Glenesk to Loch Lee.